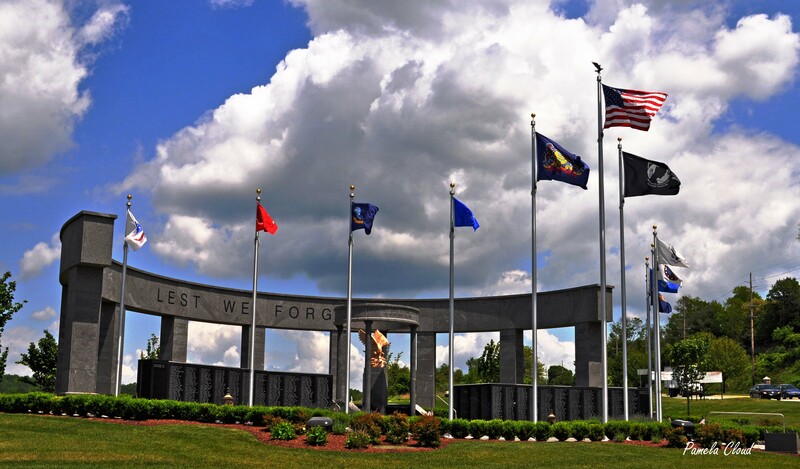 On Monday, Memorial Day May 26th, wreaths will be placed at the Delaware County Veterans Memorial by the Veterans Alliance at 8am, with a service starting at 8:30am. Today I stopped at the Delaware County Veteran’s Memorial in Newtown Square. This amazing memorial is impressive, but you’ll never realize it on a drive-by. You’ll have to stop to see why. Reading the names of the individuals, and sometimes generations of families, who sacrificed their lives so we can enjoy our freedom is sobering. The memorial also serves as a great history lesson in war and conflict in U.S. history and a place to honor loved ones. I believe there are no coincidences and today was no exception. Not being from Delaware County, I did not think that I would know any names on this memorial. Oddly enough, the minute I set foot on the memorial, my eye was drawn to the name of a man who was the head of the law firm where I held my first job nearly 30 years ago. He was also a husband, a father, a grandfather and a veteran. I never knew him personally, but seeing his name gave me a sense of connection. We all know someone–maybe not a direct relative or close friend–who has made a sacrifice for our freedom. More importantly, caused me to stop and think for a moment about the sacrifices all the service people as well as my father, father-in-law, grandfather and uncle, who all fought in World War II. 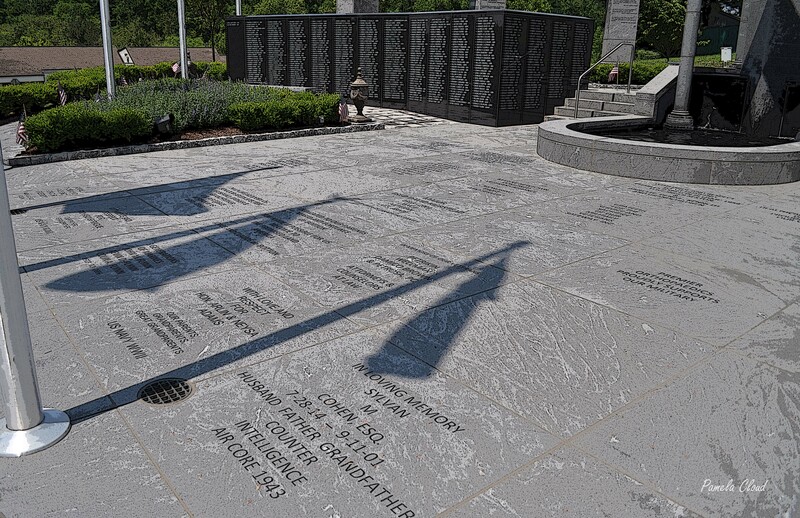 Please read the write-up of this memorial in Delco Pride ; it does a better job than I ever could, describing the meaning behind the various facets of the memorial. Better yet, go see it in person. You can purchase a brick, large or small, engraved with the name of your loved one. On Monday, Memorial Day May 26th, wreaths will be placed at the memorial by the Veterans Alliance at 8am, with a service starting at 8:30am. However, you can go anytime to sit and reflect, write a note to your loved one or just listen to the fountain in quiet contemplation. 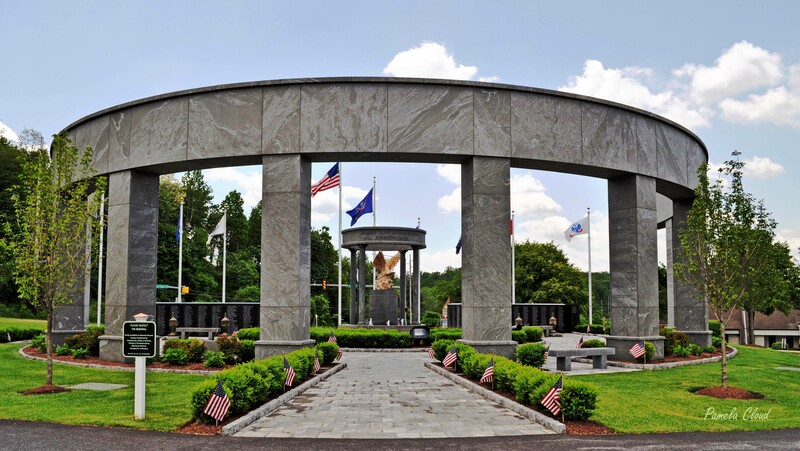 The Veterans Memorial is located on Route 3 (West Chester Pike) in Newtown Square on Alice Grimm Boulevard. For more information, contact: 610-400-8722.